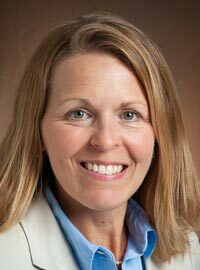 Dr. Kimberly Vachal is the lead investigator for Agricultural Industry and Rural Transportation Safety and Security activities at North Dakota State University's Upper Great Plains Transportation Institute. She conducts research and outreach to promote a safe and secure transportation, with focus on rural regions. Research, outreach, and educational activities are defined and accomplished in cooperation with stakeholders. She has over 20 years of experience in transportation research, primarily in safety, agriculture, program evaluation, policy, and freight flows, and has worked extensively with both public and private stakeholders. In addition, she has had the opportunity to work with students as research assistants and in teaching courses in freight logistics, microeconomics, and international development economics. Her research concentration has been in public policy and program evaluation. She has written over 50 research papers and authored several journal articles. She also assists other research faculty with policy and economic analysis as it is relevant to their research. Summer 1989, Commodity Merchandising Intern, Cargill, Inc.